Maddie Koldos is finishing her last year of her B.S. in Mechanical Engineering at the University of Southern California. Her path to engineering started when attending a magnet program for STEM at her high school and participating in VEX Robotics. However, she never saw herself being able to afford the cost of college, until becoming a QuestBridge scholar her senior year. She received generous financial aid from USC and was able to attend. This year, she received the Women in Aerospace Scholarship in addition. At USC, Maddie is the Lead Engineer of Data Acquisition for USC’s Rocket Propulsion Laboratory, responsible for gathering temperature, thrust, and pressure profiles at their static fires. This helps them characterize their vehicle performance and get ready to complete their mission of being the first entirely student-run group to send a rocket to space. She also works part-time at the California Science Center, giving presentations and performing experiments for the public in front of the Space Shuttle Endeavor regarding its components, orbital mechanics, and space environment. She loves teaching and getting the next generation as excited about space as she is! Previously, she worked at JPL on their Mars 2020 Rover Chassis Team. Her project was focused on determining B-basis yield stresses for flight components at the extreme temperatures they would experience on the Mars surface and in flight. These values were used to perform simulations on current part assemblies to see if they would break with the given loadings, particularly in-flight g-force. 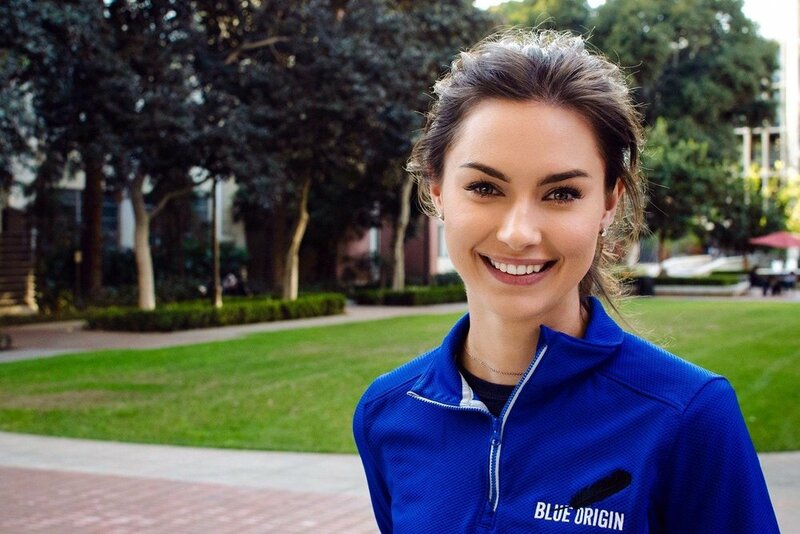 As a Brooke Owens Fellow in the Class of 2018, Maddie worked on Blue Origin’s In-Space Propulsion team. Her project focused on designing and manufacturing ignition development hardware and an igniter to be tested in vacuum. She will be returning as a full-time employee in Fall 2019.